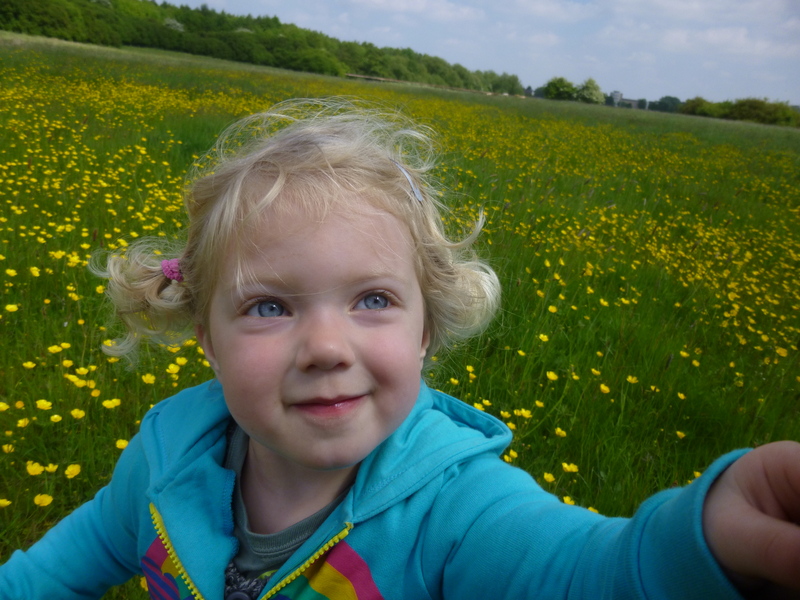 On Wednesday we went back to Highwoods Country Park to get us some nature. A wonderful thing, and altogether worth the stinging eyes, congested synuses, streaming nose and burning throat – mine, not Rowan’s, although perhaps in a year or two when she can express herself better, she’ll let me know otherwise. Unfortunately I lacked the outrageous fifty pence necessary to park in the forest so had to park nearby, in the health centre car park. Rowan was, however, happy to be carried into the woods. Actually, that’s not fair. She did walk on the way in. As was true the last time she visited, the most interesting aspect of the adventure playground at present is the possibility of insects on the raised wooden bar. Last time there was a tiny black caterpillar(?) and some kind of shield bug variant, so we were hoping for big things again this time. Nature didn’t let us down. A beetle-esque flying creature with fine iridescent filigree appeared. “A flying beetle-y thing,” I said confidently. For a moment she appeared to be contemplating exactly when the beetle flyer would strike up ‘Here Comes the Sun’, and then she decided to indulge in some more traditional playground pursuits instead: walking the tightrope, hide-and-seek behind the trees, climbing up the trunks, and, best of all, running across the bridge. Then we go to check out the tree-shelters, branches precariously piled into little triangular dwellings, and she was very keen to sit inside. We checked out the various tree-trunk seats. After several moment’s silence she confided her conclusions to me: “It’s like a house, Daddy.” She was clearly reminded of our wonderful day in Sutton Hoo, on Sunday. Whilst pretty from the outside for a long time within, the Doll’s House was just a pile of wreckage from all of Superman and Wonder Woman’s domestic wars. You’d open the doors and find them lying there, amidst all the rubble of kibble. One stormy day a gang moved into the attic. They called themselves the Ten to Ten gang, after the clock that never moved. Unfortunately, none of them, not even The Cat, could tell the time, as the clock’s hands actually stood at ten past ten, but never mind. The Cat was the brains of the operation. She was small, grey and very discrete. She shared the attic with Robert the Builder, a muscleman in his spare time, the Chimp, a stand-up stick-up guy and Glass Terry, a dog, who drove. 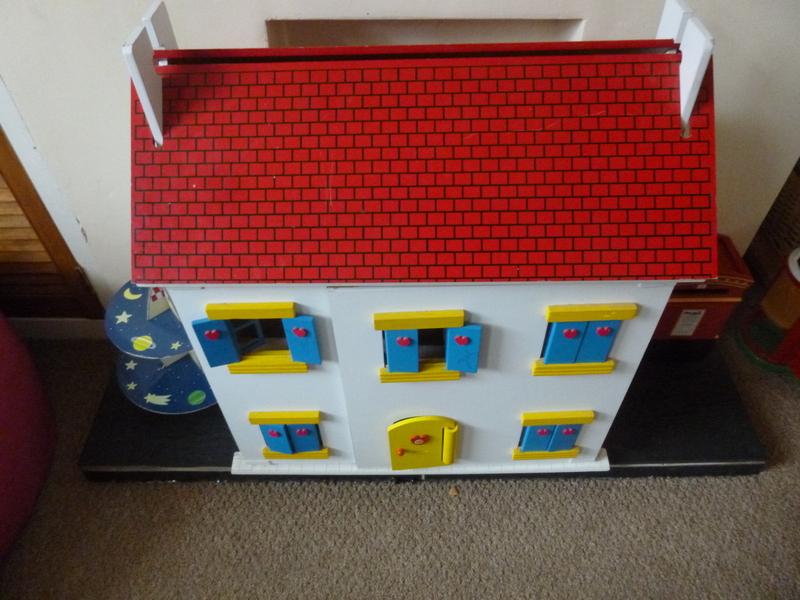 They operated successfully out of the attic for several months, sharing the key to the ever-swelling treasure chest. Then Chaplin the monkey joined them. He’d discovered their hideout by chance, having been on his way to the food bank when he saw them running in the other direction, away from the Justice Zoo League, who were trying to recover Paradise Park’s entire supply of multi-grain hoops. When Chaplin saw the Chimp chomping through the Cheerios as he disappeared down the Doll’s House chimney he’d put two and two together, and it wasn’t long before he had snuck his own way into the Ten to Ten gang. Chaplin proved to be an excellent look-out and they were all happy to share the treasure with him because he made them all feel safer. Only Robert seemed at all bothered, complaining about the monkey’s personal hygiene, his sleeping habits and his love of spraying water at the wrong moment. It wasn’t long after that that Chaplin the monkey and Robert both vanished, along with the treasure. 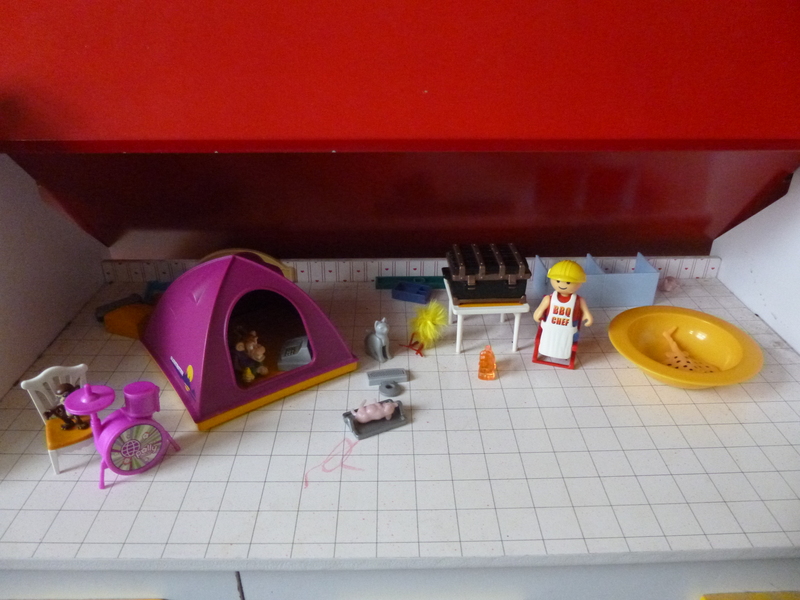 Then the builder’s body was discovered in the Chimp’s tent, which the others understood as more of the monkey’s trickery. The remaining members of the Ten to Ten gang, the Cat, the Chimp and the Dog vowed to find the missing Chaplin, and their treasure. Glass Terry told the others he’d heard the monkey was hiding out in some steam joint called the Bathroom, and they decided to go and check it out. I have written a brief journal outlining Rowan’s developmental milestones, major and minor, but that’s more of an aide-memoire or handy reference (The most recent of those was probably the recording of 27 April, when she climbed out the cot for the first time). So this, by contrast, is meant as a series of impressions of her that I don’t what you to miss, or me to forget. Then I show her the book of the recent V&A Bowie exhibition. “This is David Bowie,” I say. “No Table Baddie!” she replies. There was a perfect, peaceful moment just now, sitting in the middle bedroom and listening to her play in the back bedroom, looking at on the garden, watching the Rowan and the Silver Birch sway in the wind and hearing her say “There’s a tail and there’s a tail”, over and over again. Reading back what I have just written, I suddenly realise that that makes it sound as though she was torturing one of the cats again, but there was no cat, and I swear it was all much more innocent and joyous than that, more as though she was a biologist identifying salient features or a poet playing with language. It was just another moment that I know you would like to have been present at. And I think: I must record this moment, even though that in doing so I lose it, so that you and I know, and remember, that there were, are, will still be such moments. Later that day we are terrorised out of our lunch by an aggressive (grey) squirrel in the adventure playground in Highwoods Country Park. Well, when I say ‘We’, I mean ‘Me’ – she finds it both amusing and inconsequential (in marked contrast to her reaction to even the smallest of spiders) that this rat with a tail is trying to make off with the humus, the breadsticks and a lump of brie. Eventually I decide it’s prudent to bag up the picnic remains and beat a retreat. She is walking behind me along the path, and suddenly I realise that we are engaged in an infant version of Grandma’s footsteps, because every time I try to crane my neck around and make even the slightest eye contact with her, she completely cracks up. 14 June: Persuade her to eat strawberries. When ‘They’re so sweet!’ doesn’t get a response, I resort to a craven trick. “They’ve got natural sugars!” I say. That gets her attention. Soon she is wolfing down strawberries, and to my eternal discredit, I end up affirming her notion that the tiny green pips are actually ‘sugars’ so happy am I to see her actually eating not one, but two pieces of fresh fruit. No, actually, she’s just eaten seven. And now she wants butter on them. 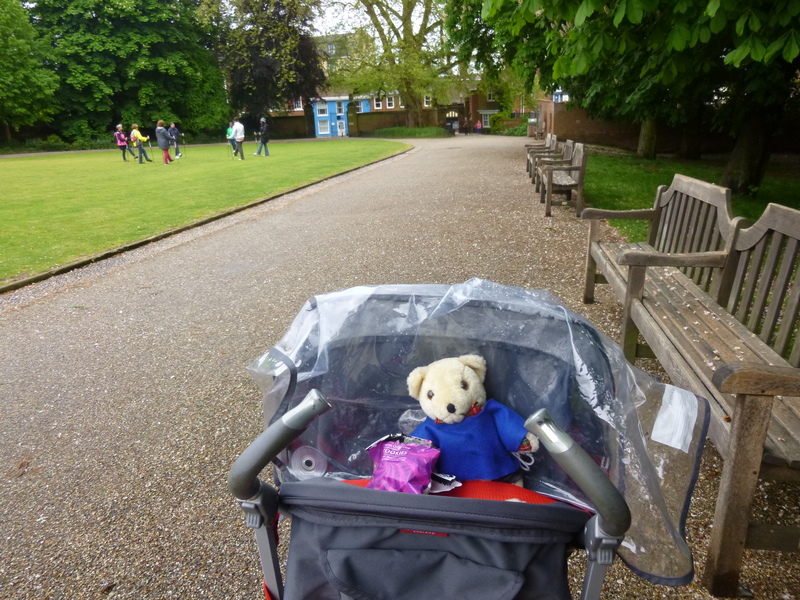 By Wednesday, it’s time to get out of the house; we (that’s the royal ‘we’) decided to go to the Teddy Bears’ Picnic at Christchurch Mansion in Christchurch Park in Ipswich. This enables me to kill two birds with one stone, as we’ve also been toying with the idea of moving to Ipswich. Regarding that possibility, as I stood opposite Crown Pools and remembered a long-forgotten childhood swim there, a man stood up from an outdoor table behind me and swore as his trousers fell down, and that made up my mind for me. Parking should have been straightforward, but I lacked change for Crown Street Car Park and ended up in the Spiral; an eerily quiet underground car park that does exactly what it says; surprisingly, it was also extremely pedestrian (read: pushchair) – accessible. Anyway, after our twisting ascent through this ode to concrete, it was a relief to find our way to the green spaces of Christchurch Park, and in particular Christchurch Mansion, which was laying on a teddy bears’ picnic for the day. 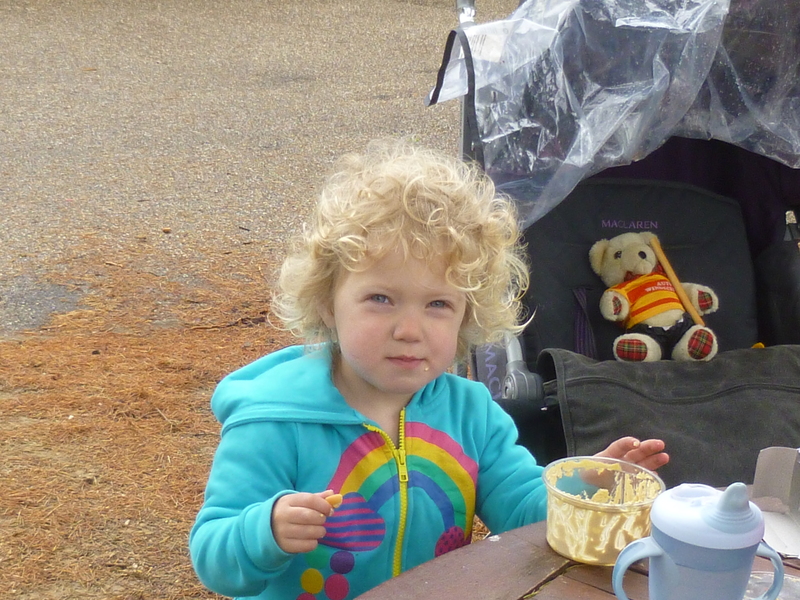 There was a space to have a picnic inside the venue, but as it was still reasonably nice we decided to have ours outside, with some fellow teddy bears. 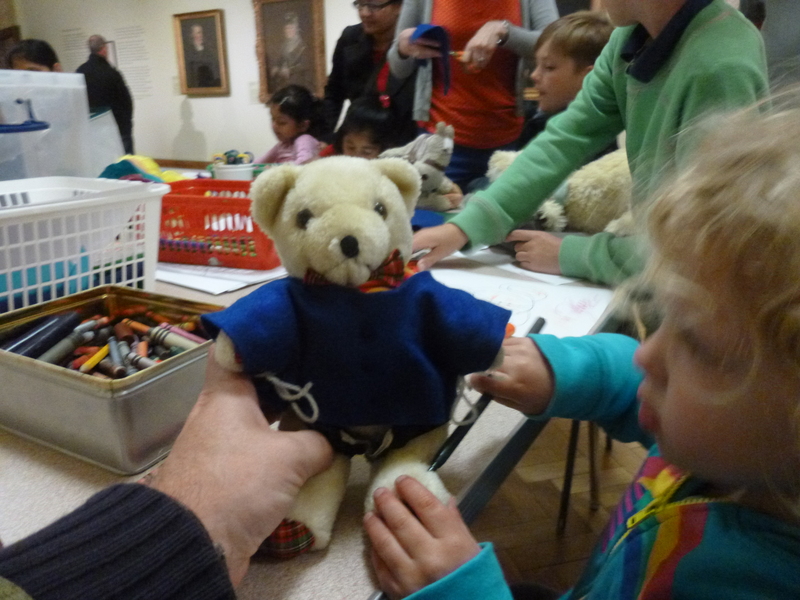 Christchurch Mansion had made a real effort, though, when we finally did go in (it was all free): as well as the picnic space, there was art, storytelling, and George, her Partick Thistle bear, hastily named after her Grandpa, got himself a lovely jumper. The best thing, though, was the fact that Rowan was actually interested in the museum, as was I – there were some wonderful Tudor artefacts there, but let’s face it, that’s not the kind of phrase that normally gets a two-year-old’s heart racing, and it’s often also hard to wander around such spaces without being made to feel that you are an unwelcome intruder, so top marks to Christchurch mansion on both counts. We walked back through the park and around the spiral and then drove home. ‘Not this way,’ she said, but then fell asleep. And the best part of the day was that when I got her out of the car she stayed asleep in my arms, snoring away. We also had a great time on the Thursday at Castle Park in Colchester, which had laid on loads of free attractions as there was a cycle race (part of the ‘Tour Series’) through the centre of town that day. Castle Park is always great fun, but they had really gone all out, with loads of added attractions, from bouncy castles to bungee jumping and cycle challenges – and Rowan got to learn a new word: ‘Zorbing’ (both the land and water variety). Friday was perhaps a little less successful; we decided to explore Cymbeline Meadows, very near our new home, down the other side of the train tracks. In fact, it’s a wonderful green space, great for a ramble, and there’s a nice picnic spot. You do have to fold up the pushchair to get through a couple of gates, so that could be an issue if you had a sleeping toddler on your hands. But the most important thing, is to stick to the main paths, and don’t attempt short cuts, because even if some of the less obvious tracks are still marked ‘Public Footpath’, one, at least, leads into a marsh. We were about nine feet from a bridge up to the woods and home, but it was completely impassable. As I told Rowan later, it was a proper adventure. You are currently browsing the Because you're not here blog archives for June, 2013.